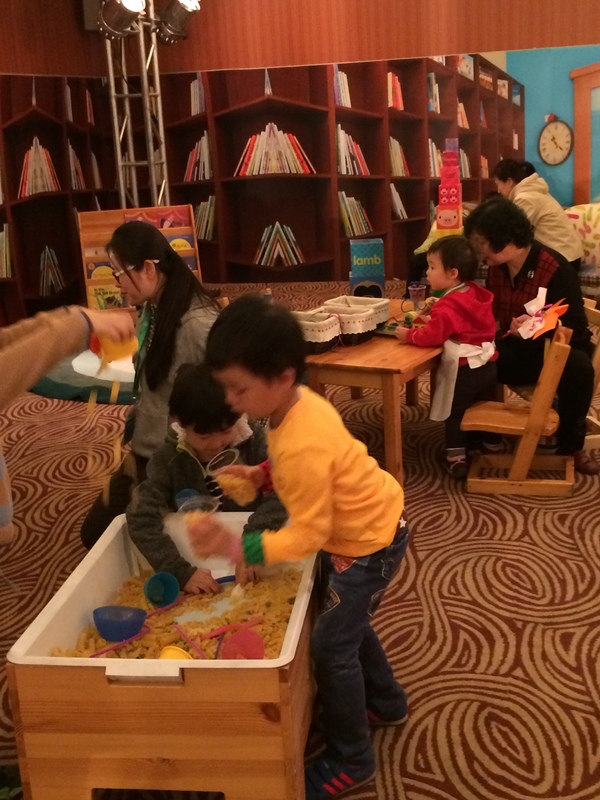 Home › Expat in Beijing › Expat Kids in Local Schools | Why do they join and how do they like it? 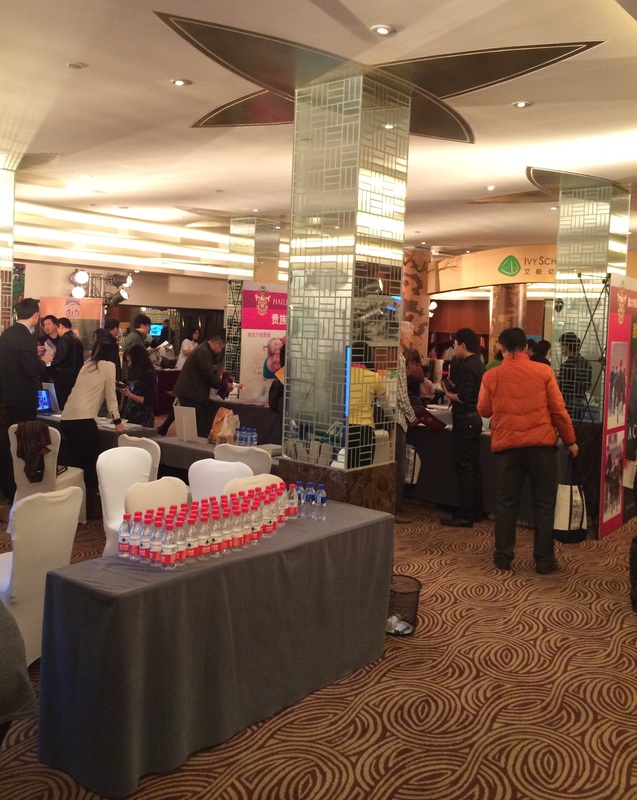 The Beijing Kids magazine staff invited me to attend their 2014 Spring School Choice Fair and blog about it. I was free to express my honest opinion and write from any angle I liked. No payments were made. This blog post only reflects what I thought and cared about. Why do some expats choose to send their kids to local schools, and how do they like that experience? I have been curious about this since we started to live in Beijing last year. 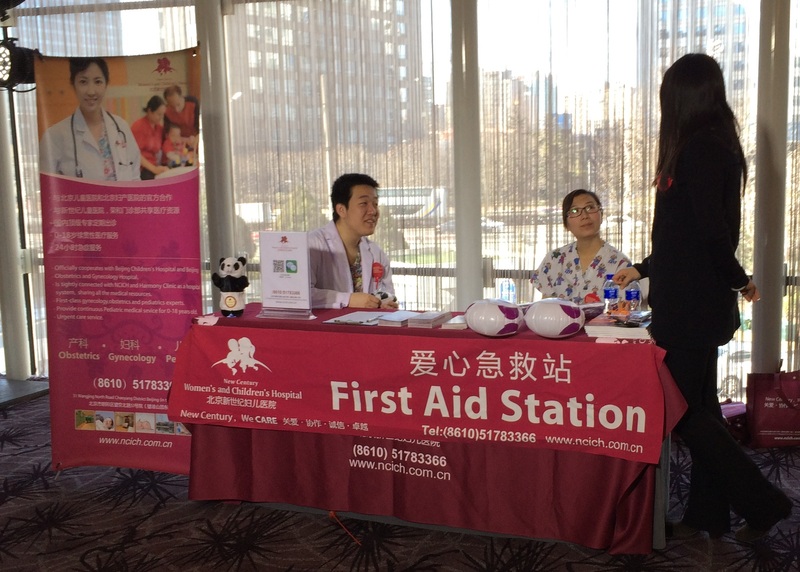 So when the Beijing Kids magazine invited me to attend their 2014 Spring School Choice Fair earlier this month and blog about it, I was intrigued because the program included an English-language panel discussion with parents titled ‘What it’s like for international kids in local schools’. Choosing the right school for our kids can be an intense and emotional experience. So many factors play into it such as our experiences from our own childhood, our opinions formed about the variety of education systems since then, our financial resources, and our aspirations for our kids. The choice is made harder as an expat when you are new to a country and the old yardsticks you used at home don’t apply. You also don’t have the social network yet to chat with friends and figure out the best options at your location. If you ask your newly formed acquaintances, you get a variety of answers which you are not sure you can relate to – you barely know the people and certainly don’t know their priorities. 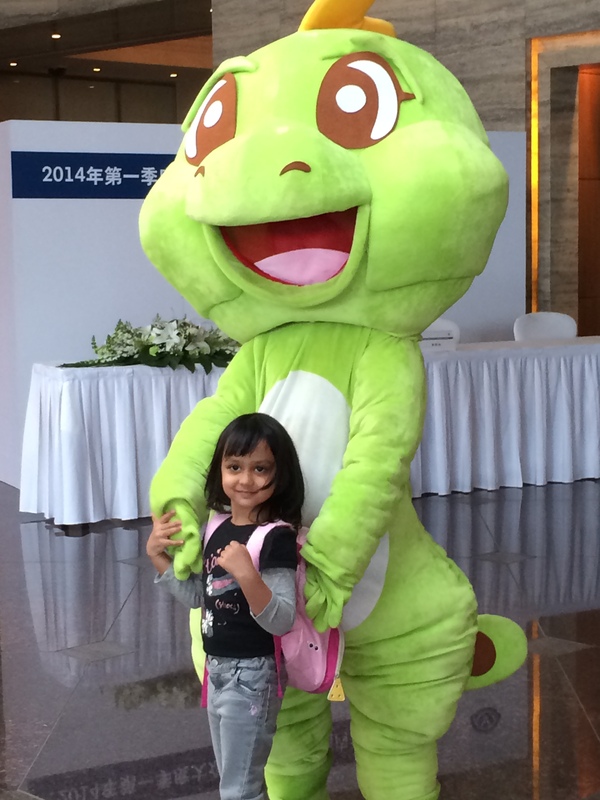 When we first arrived in Beijing, we had to switch schools within the first month from a Chinese-owned ‘international’ school to a ‘real’ international school for our 3-year old because she was getting increasingly distressed as the only non-Chinese kid in her class facing language and cultural differences. This also forced me to understand the differences between local government-run schools, local private schools catering primarily to the local population even if labelled ‘international’ and ‘bilingual’, and the truly international private schools run by international agencies (that mainland Chinese nationals are actually barred from attending by their government unless the schools fulfill certain strict criteria), with many shades in between. With this experience behind me, I was curious to see what other parents had experienced at local schools. 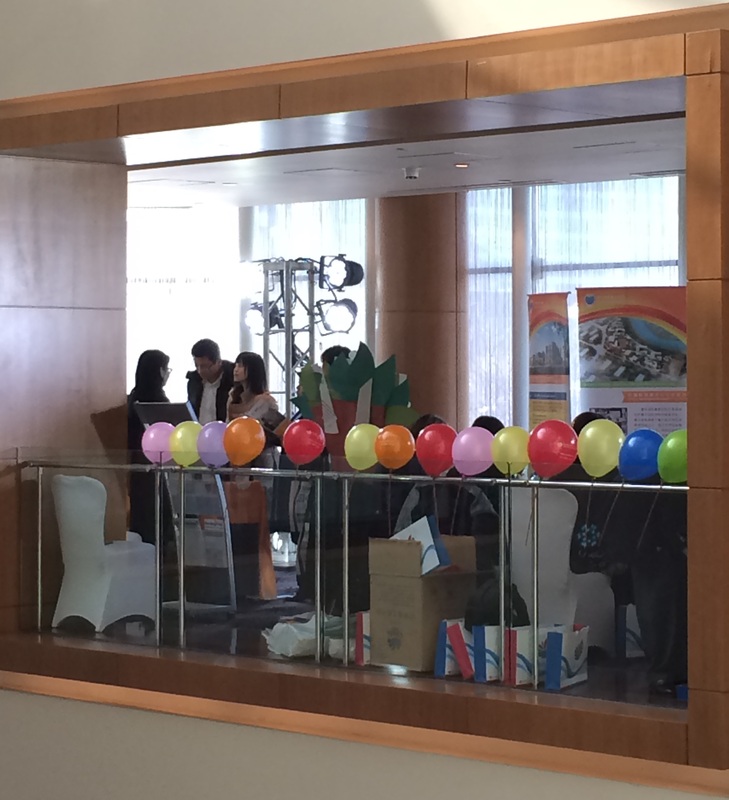 The fair was being held at the Hilton downtown spread over two floors of conference and corridor space with colorful balloons and decorations everywhere. There was a fairly large line-up of booths, about 70 of them! The entrance to the fair presented a familiar Chinese scene – several elegantly dressed staff members standing alert, shoulders squared, hands crossed behind their backs or with digital tablets draped on their arms. 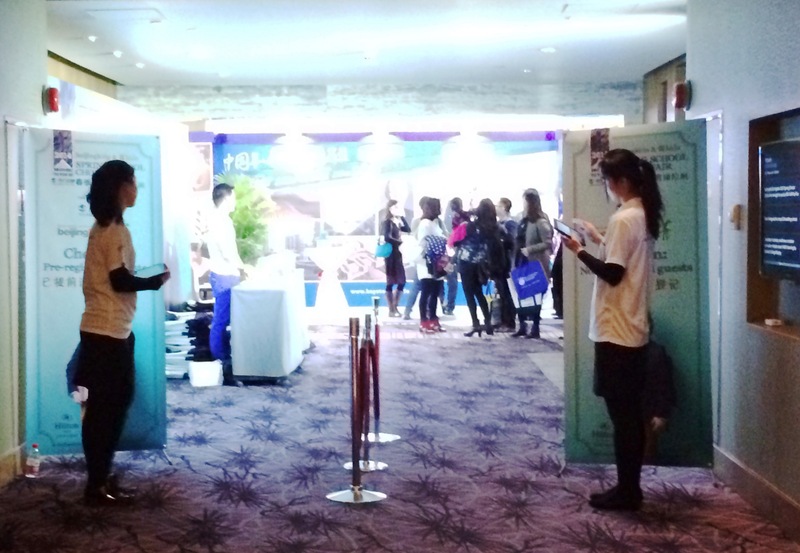 Pre-registration was ‘required’ and registered guests got checked in instantly on the digital tablets, but large signs directed unregistered guests through a parallel entry where you could quickly register on the very same tablets. In fact, the whole set-up looked quite high-tech and smoothly operated. 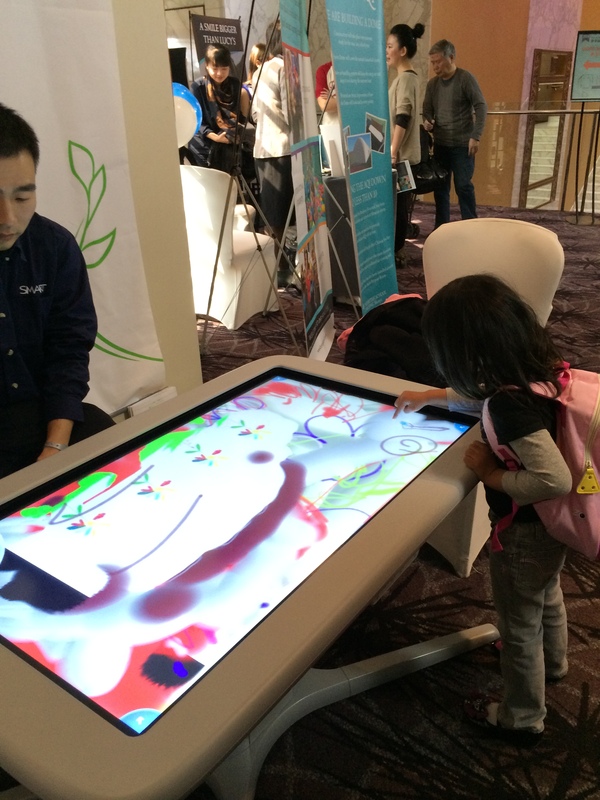 There were giant touch screens for people to explore or play, and touch screen tables for kids to play games at, as well as two kids’ activity areas. 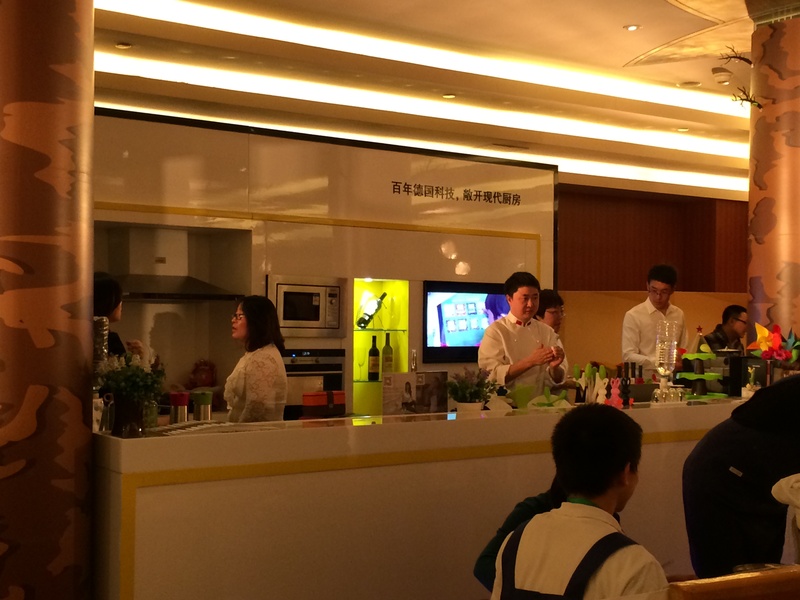 Besides the schools, the businesses represented at the fair included some teacher training institutes, kids’ activity centers, international hospitals, and even air purifiers by RGF, the sponsors of the fair (this is Beijing after all)! In the future, and this may be of particular interest to expats, after-school activities may be included as well. 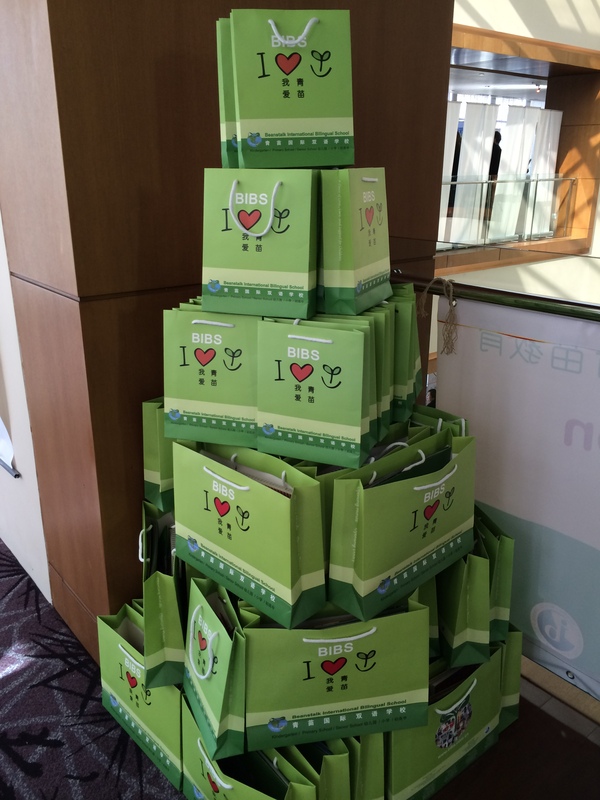 Upon registering you could pick up a big badge, red or blue, along with the bag of registration materials. 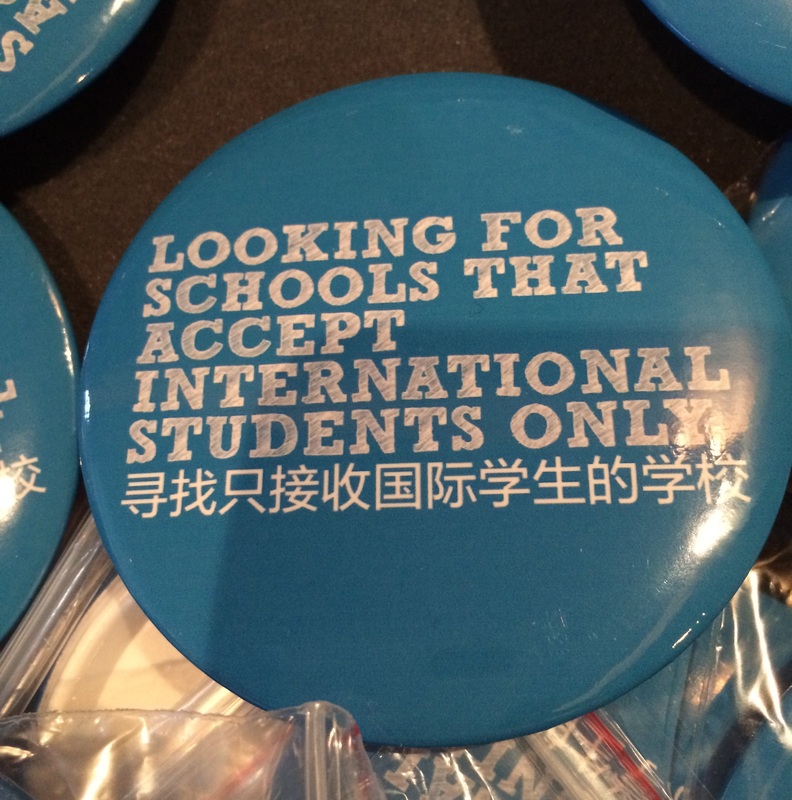 The red badge said, “Looking for schools that accept international and local students” while the blue badge stated, “Looking for schools that accept international students only”. Given that the fair was clearly focused on schools that accepted international students, whether they accepted local students or not, I was surprised that hardly any expats (foreigners) were around. Were they unaware that this was going on, or did they just prefer to figure out school choices through their personal networks, I wondered? 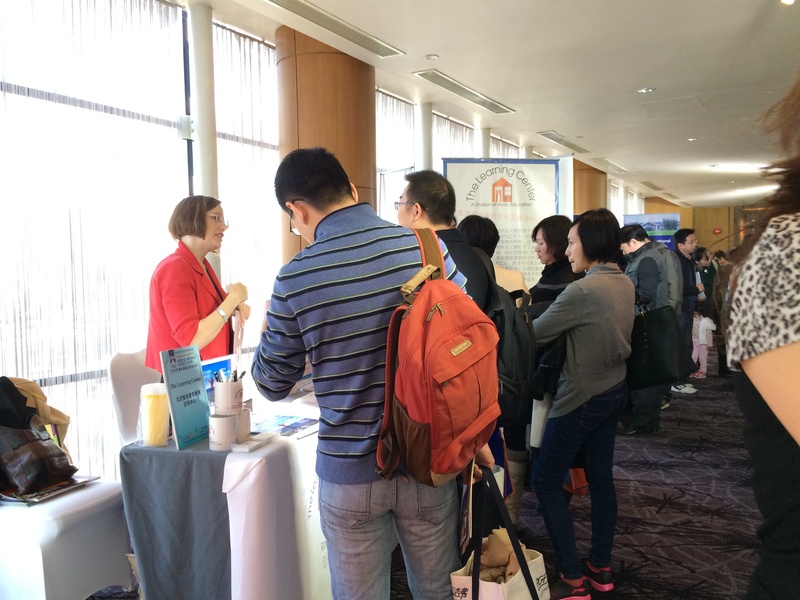 Most of the attendees seemed to be Chinese parents that were interested in international schools that also accept Chinese nationals. 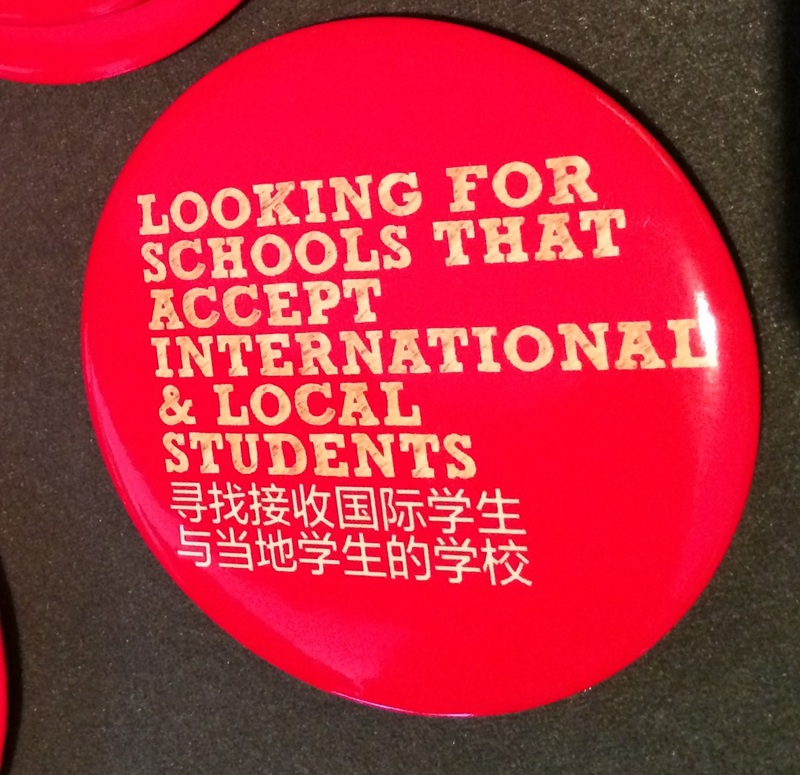 I guess affluent Chinese parents seeking an international education for their kids keenly look out for schools that have managed to jump through the bureaucratic hoops to make admissions of Chinese nationals possible. As you can imagine, the wait lists at these schools is really long despite the steep fees, so new schools are being keenly tracked. The same trend was reflected in the panel discussions. The Chinese-language discussions were packed, but the English-language panel discussions were sparsely attended. Also, school choices being such a hot topic, I was surprised the conference wasn’t more crowded overall. It didn’t seem too busy on either day. I inquired at the end and found that about 2,500 people had attended over two days. That’s a fairly large number, so maybe it was the space layout that made it seem less crowded. 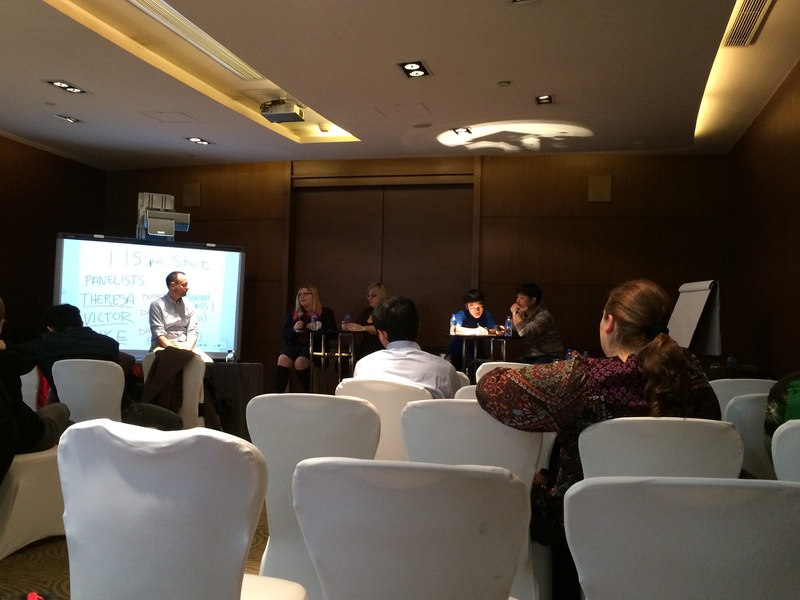 The panel discussion I attended – “What it’s like for international kids in local schools” – was in English. The discussion started about 30 minutes late to allow more people to trickle in. But it was worth the wait. The panelists were very interesting. There were three international parents who had kids in local schools, and two of them had also brought their kids with them on stage. The panelists were Michael Wester, a Caucasian American married to a Chinese lady Toni Ma (both of whom incidentally also run the Beijing Kids and Jing Kids magazines and had organized the fair) with a toddler Eloise enrolled at the local school most popular among expats, called Fang Cao Di; Theresa, a Caucasian American from Seattle with her teenage daughter Monique who is enrolled at Middle School #55; and Victor, a Chinese-Canadian currently running a business in China with his teenage son Victor Jr. who had also graduated from the Middle School Fang Cao Di. Because the parents were all North American, the discussion ended up becoming a comparison of the North American school system with the local system the kids were in. Why did the families choose local schools? The reasons were either financial constraints (international schools can be prohibitively expensive; most families enrolled there can afford it only when it’s a part of their expat benefits package), or a desire for their kids to benefit from a Chinese-language immersion experience (I have noticed this trend in business families that see China as a growing business opportunity in the future, mindful of the fact that all business in China is conducted in Chinese). Relative strength of the education systems also factored in. Chinese kids typically score better than North American peers in worldwide aptitude tests. They are ahead in math and science, but behind in English. So it’s a trade-off. Hard choices were made about some things such as a lack of team sports or creative opportunities, which had to be made up outside of school. One important point I realized during the discussion was that even though these kids were enrolled in local schools, they were in the International Departments/Programs of the schools – which require foreign passports to enroll and which are quite different and usually even physically separate from the rest of the school. None of these parents would have enrolled their kids in fully local classrooms; they felt that would make their kids feel isolated and unable to form deep social connections (and from our experience, I would agree). 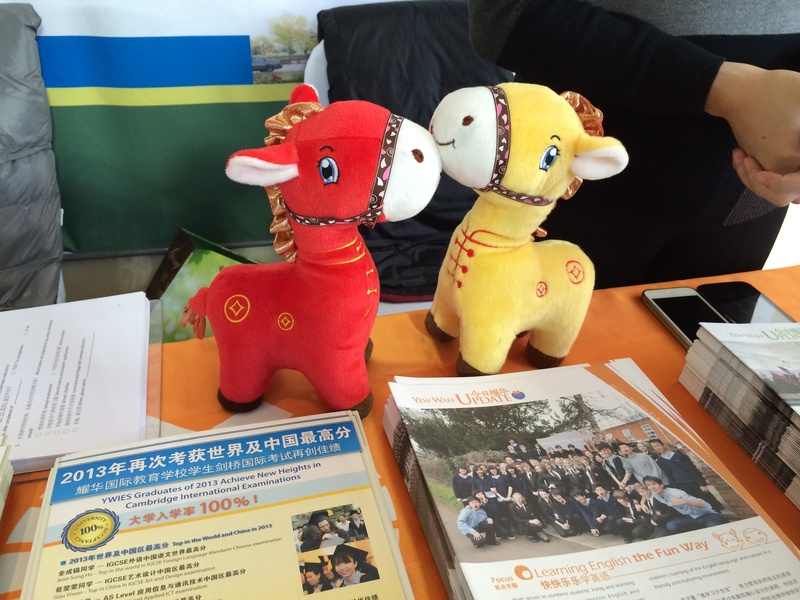 Even though the school’s international departments teach all subjects in the Chinese language, they follow the International Baccalaureate (IB) curriculum and award an IB Diploma that is accepted worldwide. Also, they do not measure their foreign students on the Gao Cao – the national standard test for Chinese students that is the equivalent of SATs, because Gao Cao scores are not required of foreign students for admissions to top universities in China. So how is the experience? 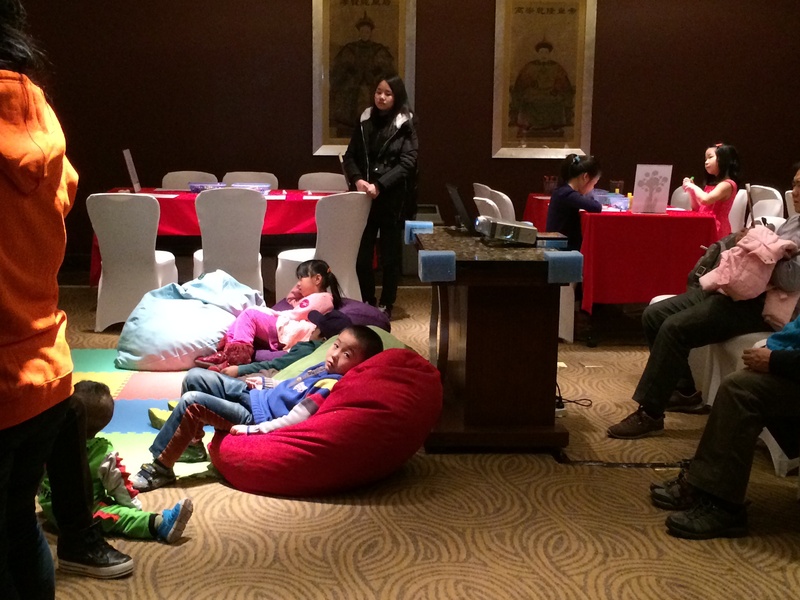 For families with no Chinese-language skills, it can be terrifying at first. The kids cannot understand what is going on in class, all home work is in Chinese, and the parents are unable to help. Even school notices are in Chinese. However, unlike North America, the teachers are more approachable – they willingly give out their cell phone numbers and will take calls at any time of the day or night. But language is a barrier and an interpreter is required for any real discussion. Plus, very little information comes from the schools pro-actively. If the parents want to know something specific about their kids, the onus is on them to make the calls to the teachers. Even though teachers are approachable, the school administrations can apparently be truly rigid. (The parents stressed the importance of selecting a well-established school that has worked out the kinks already.) Not all local schools have a PTA. Fang Cao Di has one for example, but #55 does not. So parents can feel less empowered to engage in their kids’ school experience. They have to put their trust in their kids a lot more. Parents also have to depend on external tutors to help the kids with their homework. Monique first took a gap year just to learn to read and write Chinese. She writes her assignments in English, translates them to Chinese and then gets it checked by a tutor. This means home work takes extra time. This is on top of long school hours. School hours at Fang Cao Di are more like western schools, from 8:00 AM to 3:15 PM, but most local schools run from 7:45 AM to 6:00 PM, and give homework on top of that. The load of home work in middle school is apparently higher than in North America. The jump in workload and expectations from primary to middle school in China was similar to what the parents had experienced from middle to high school in North America. The kids said they take an average of about two hours a day and often several hours on the weekends to finish their assignments. Even kids in grade 1 and 2 get about 30 minutes of homework, which can take up to two hours if language is a barrier. Victor also pointed out that it’s best to set kids’ expectations – homework is not “fun” and it’s best not to expect that. 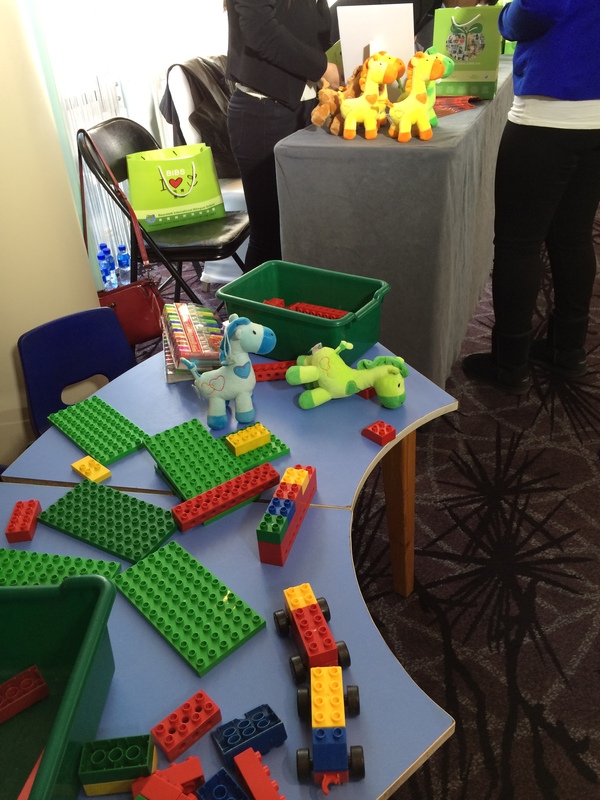 Is creativity fostered? Not as much apparently. 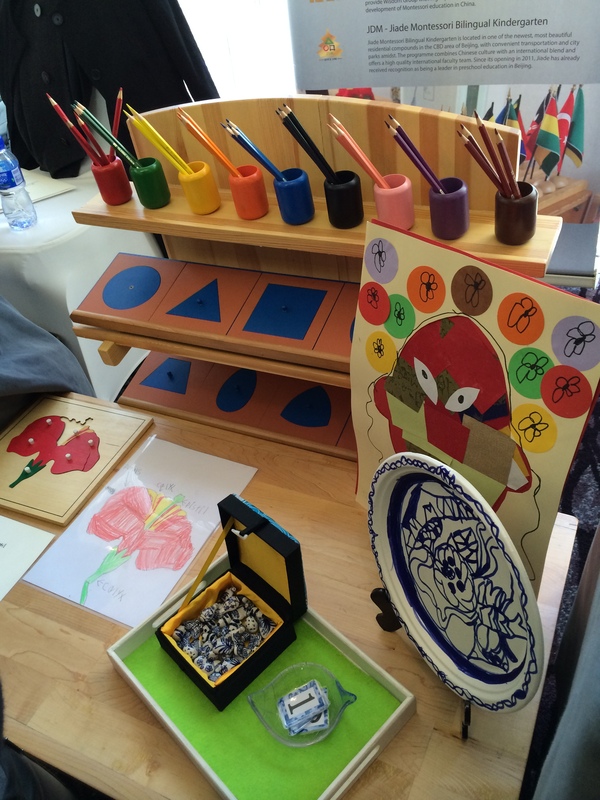 The focus on homework – especially on the subjects of Maths, Chinese and English, or as Victor Jr. called it, Chinese-English – does take away from the opportunities for creative expression. Families have to find resources outside school for those activities. Physical punishment is not meted out at these international departments in local schools, and there is a trend towards less harshness, but psychological beatings could happen. Mike gave an example of a music teacher harshly scolding kids until they were brought to tears because they could not play an instrument. The teacher believed that that would make the student work harder to play the instrument better next time. On a different note, one of the kids remarked that they would not say anything bad about their school in a public forum because of the fear of repercussions. That’s psychological pressure for you, although also wise . If a student does not do well, it is believed that the student and parents are not working hard enough. The North American system is more inclusive of students with different abilities, Victor remarked, but in the Chinese system all students are expected to excel. This could be an empowering thought – that if you work hard enough, you can get there. On the flip side, there is no accommodation for kids who are not doing so well. The strict schools create so much pressure for good grades (very poor grades can mean you have re-take some exams) that the parents have to find ways to provide some relief from that at home. In general, expectations and pressure from school are high. In the North American system, it is illegal to reveal a child’s rank in class. Not so in China where class ranks are openly published. 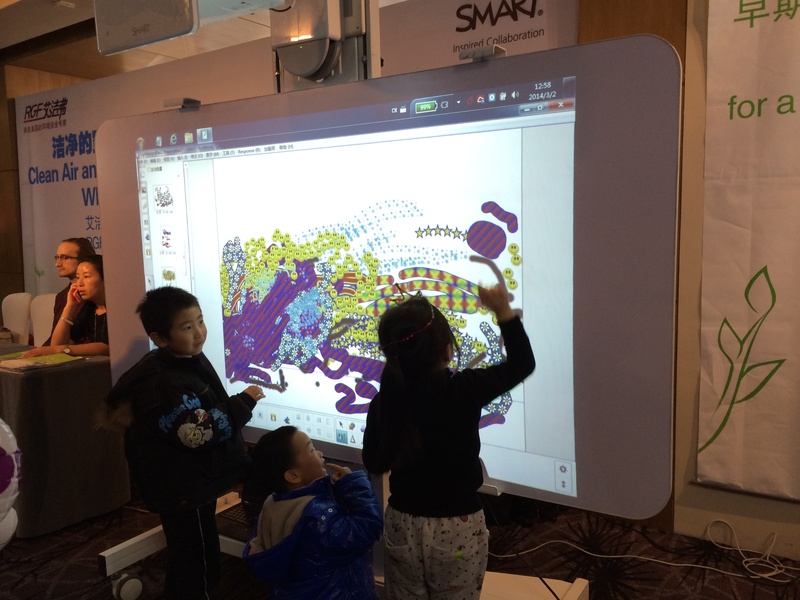 On the flip side, the smart kids in school are the popular kids! This is in stark contrast to the anti-intellectual thread in North American culture, with bright and studious kids being labelled as “nerds”. Also, an important difference pointed out was that North American system, and the international schools, consider students and their parents as “customers” and treat them accordingly, whereas the Chinese system treats the families as “users’ of the system. That says a lot. Overall, it seemed the panelists had made their choices fully aware of the differences in the two systems and embraced them for the most part or worked their way around the knottier issues. At the end of it, in spite of finding several aspects enlightening and interesting, my personal opinion didn’t change significantly. If we had chosen to settle in Beijing, I would have considered a local immersion experience more seriously. But as a transient expat, my priority was my child’s emotional well being and cultural continuity. Besides, being a product of a system more similar to the Chinese than the North American system, followed by years of work experience in North America in increasingly responsible positions, I do believe that while the Chinese system may produce technically superior and more hard working kids, the North American system produces kids that are more confident, self-aware, and better at creative and independent thought. The latter I believe is the stuff leaders are made of. And it’s key to instill these traits in the kids’ formative years. We relocated to Mersin, Turkey with our 11 year old daughter. In Sydney she shone, she cruised through public school life. Moving to Turkey we chose that rather than send her to a expat (American International School) we sent her to the local village school after all how do you really experience a new culture surrounded by expats? Daughter had made friends by the end of the day and 6 months on is conversationally fluent and getting really good grades (expect for religion). Will she stay at this school? No I will move her to one of the private schools after giving her one more year to really immerse herself in the language. That’s great Jane! That is a good age to have that experience. If my daughter was old enough to understand the situation and make a conscious choice to figure things out the hard way for the experience, I would’ve encouraged her to do it too! Wish you a great stay on Turkey! What a lovely country to be an expat in. Turkey is a little off kilter at the moment but I expect it will be back on track soon enough. I live in a wonderful part of the world and what an experience for my Daughter.